Stylish Star Allu Arjun who lined up his next film with wizard of words Trivikram Srinivas is currently enjoying with his family as the director is currently busy fine tuning script. The project will be produced jointly under the banner of Geetha Arts and Haarika & Haasine Creations by Allu Aravind and S Radha Krishna. Bunny is presently spending time with his family- son Ayaan and daughter Arha. Some of his snaps and videos with them are going viral on social media. 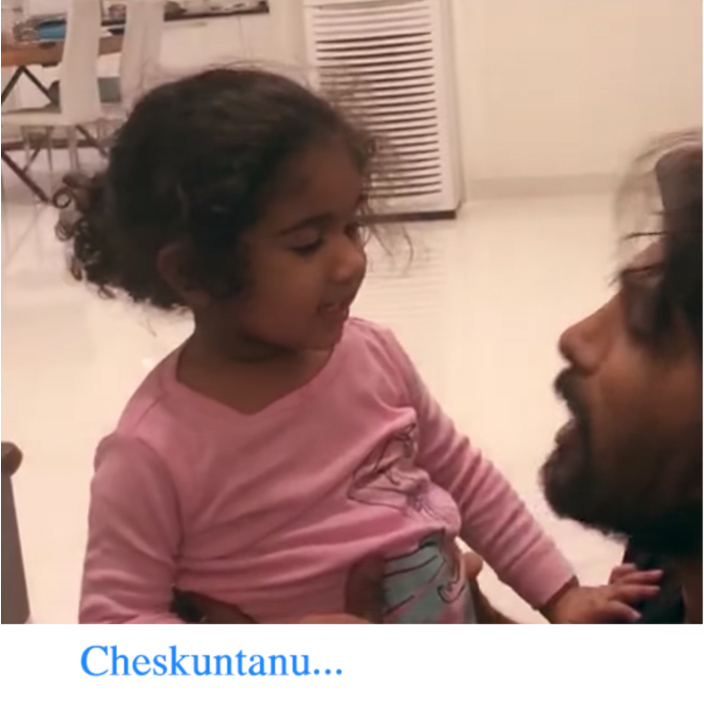 Bunny in the video is seen pleading with his daughter Arhaa 'to say' Naanna.. nenu nuvvu cheppina abbayini pelli chesukuntanu' and later when Bunny asked her, 'chesukuntava? ', she stuns him replying cutely 'Chesukonu'. What surprised all is, Arha despite repeated pleading from her dad 'Chesukuntava', she cutely replied 'chesukonu'. Allu Arjun shared the video on Instagram captioning it as 'My Donga fellow' and the video is going viral on social media.